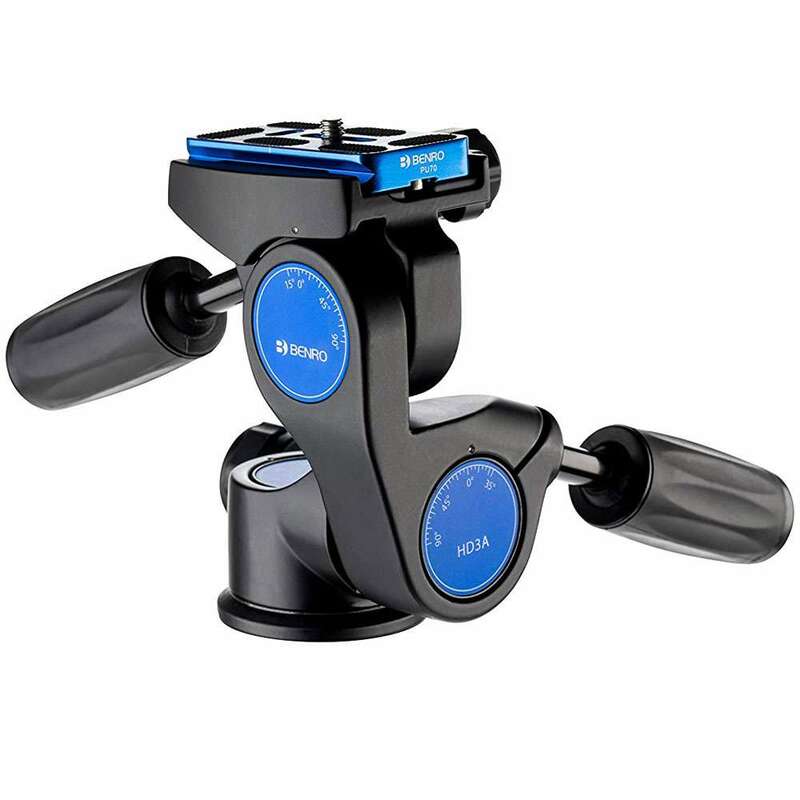 The popular HD series of 3-Way tripod heads provide more precise camera movement and positioning than ball heads, and now the Benro HD series has been refined, remodelled and offers greater versatility than before. There are two major changes to the overall design of the head. The first is that it now includes an Arca-Swiss compati-ble plate with our Pull/Twist security feature. Many photographers already own tripod kits with heads that are Arca-Swiss compatible so photographers can swap between Ball Heads and 3-Way Heads without needing to change QR plates. The second upgrade is that the new design now incorporates 3 bubble levels for precise and accurate positioning. Refer-ence scales have also been added to the HD2A and HD3A models so that settings can be easily replicated. All models offer a side tilt range from -90° / +15°, Front and rear tilt range of -35° / +90° and full 360° rotation There are three models in the series designed to carry a max-imum load of 5kg (HD1A), 8kg (HD2A) and 12kg (HD3A) re-spectively.